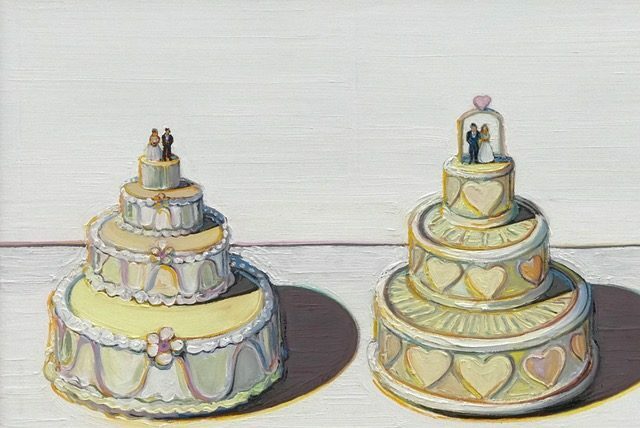 Recently I visited a museum which showed a series of paintings by the American painter Wayne Thiebaud. The paintings touched me deeply and inspired me to arrange a pie and cake baking workshop. 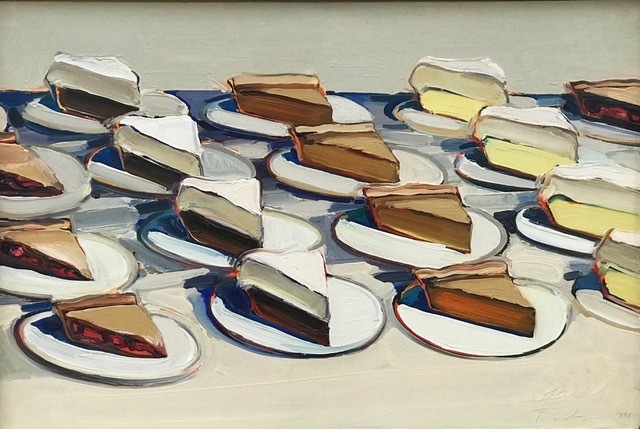 Wayne Thiebaud has elevated American daily life to art. 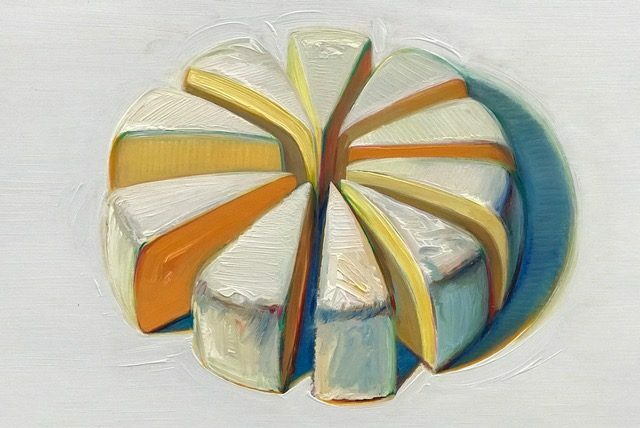 He is praised for his rich paintings of cakes, but also of ice cream, fruit and hot dogs making your mouth water. For the artist, cakes are a reason to experiment with color and shape. When he paints, he is actually glazing the cake. During the workshop, we make a number of cakes. The pastry from Thiebaud is the starting point, but we ‘translate’ them into the European taste. We use various techniques, which are applicable to all kinds of cakes and tarts. This workshop of an evening will take place on March 26th. Register and assure yourself a spot. € 95 per person, including drinks and coffee. Individually or per group. Sign up using the contact form or call. Actually not a cake lover? Take a look at my cooking classes and workshop overview.